▼ DO YOU NEED A LAWYER? ▼ AUTO INSURANCE – DO YOU REALLY HAVE FULL COVERAGE? ▼ WHY HIRE A LOCAL LAWYER? ▼ HOW TO CHOOSE A LAWYER? ▼ WHAT SHOULD I DO AFTER AN ACCIDENT? ▼ HOW MUCH IS MY CASE WORTH? 1. DO YOU NEED A LAWYER? Oftentimes after suffering an injury, the insurance company will contact the injured party and make them feel like the insurance company will compensate them for their damages. When this happens, many people believe that they can deal with the insurance company to resolve their claim on their own and avoid paying a lawyer out of the settlement. Maybe the person is right or maybe it turns out later that a lawyer is needed. The point is that you don’t know unless you speak to a lawyer. Most injury lawyers, like those at The Matthews Firm, will meet with potential clients to discuss whether they have a case at no charge. That means it won’t cost you anything to speak to an attorney about your rights other than an hour or so of your time. But, if you decide not to talk to a lawyer, it can cost you much more. Assume someone who is injured in a wreck decides that he can handle the claim with the insurance company on his own without letting a lawyer review it. He gathers all of the materials to support his claim and sends them to the insurance company. The insurance company responds and makes him an offer that he thinks is fair and they settle the claim. What happens if he finds out two months later that his injury is much more serious than he anticipated and that he will require surgery or have permanent disability? Can that person go back to the insurance company and ask for more? The answer is no. It’s too late. The injured driver has signed away all of his rights for a fraction of what his case is really worth. Although this is just a hypothetical, this situation really happens and it happens all too often. Insurance companies across the country count on a percentage of injured people not consulting an attorney and then settling their claim for pennies on the dollar. The insurance companies save millions and the injury victims pay the price. Regardless of whether a lawyer must ultimately be retained, an injury victim should always consult an attorney so that he or she can make an informed decision. According to the Insurance Research Council, injury victims who hire an attorney receive on average over 3 times more than those who don’t hire an attorney. In addition to receiving greater compensation, you need an attorney to at least advise you of what your rights are and what potential claims you may hold. For example, a worker who is injured on the job by a piece of equipment will likely know that he or she has a claim for workers compensation benefits without ever talking to a lawyer. But that worker may also have a claim against the manufacturer of the equipment if it was defective. If the worker never speaks to an attorney, he or she may never learn of this claim or may learn about it when it’s too late and miss out on pursuing a claim that’s worth far more than the workers compensation claim. This is just one example. Again, the point is that you don’t know your rights and options without letting a lawyer look at your case. Lastly, another important benefit to speaking with a lawyer is that you need to be advised regarding any liens or health care subrogation that must be resolved. If this aspect of the claim is not properly resolved, it can have drastic consequences later on such as being sued by your health insurance company or losing your health care benefits. 2. AUTO INSURANCE – DO YOU REALLY HAVE FULL COVERAGE? Our office is frequently contacted by people who have been injured in car or motorcycle wrecks. When we ask whether they have Uninsured or Underinsured Motorist Coverage under their own auto policy, they will say, “I have full coverage.” Far too often when we request copies of their insurance coverage, they learn that they didn’t quite have all of the coverage they thought. Unfortunately, it’s too late at that point. Uninsured/Underinsured Motorist Coverage or “UIM” is a type of coverage that is included in most auto insurance policies. It is designed to protect the policyholder in the event the insured is injured by an uninsured driver or a driver who does not have enough liability insurance. For what it costs, it’s the most beneficial insurance a driver can buy. In Tennessee, the law requires that drivers carry liability insurance of at least $25,000 per injured person. However, many drivers on the road today violate this law and drive without any coverage. According to the recent statistics from the Insurance Information Institute, 1 in every 5 drivers in Tennessee is uninsured putting Tennessee as one of the worst states in the country for being hit by an uninsured driver. Even when a negligent driver has insurance, the amount of the insurance policy limit is oftentimes not enough to cover all of the injured party’s damages. If you purchase UM coverage, you can always count on being protected up to the amount of coverage you have, even when the at-fault driver has insurance. In Tennessee for example, if you purchase UM coverage of $100,000 per person and you are injured by a negligent driver who has only $50,000 per person in liability coverage, you will be able to recover up to a total of $100,000 ($50,000 from the negligent driver’s insurance and another $50,000 from your own UM insurance coverage). For these reasons, we encourage all of our clients to purchase as much Uninsured/Underinsured motorist coverage as they can reasonably afford. Once a wreck happens, it will be too late to increase your coverage. So, knowing that, do you still have “Full Coverage”? 3. WHY HIRE A LOCAL LAWYER? In most circumstances, your injury case will be filed where you live and where you were injured. You need a lawyer that knows that community. Many injury victims feel that they need to hire a law firm from a large city. We’ve represented clients in the past who initially hired one of the larger firms they saw advertise on TV only to become dissatisfied with the firm and hire us to take over their case. When asked why they didn’t hire local attorneys to begin with, some indicated they had concerns over local lawyers being in “cahoots” with local doctors or insurance companies. Others have told us that they thought they would have greater success or larger recoveries by hiring out-of-town lawyers. As these clients ultimately learned, their assumptions were wrong. More personal attention to you and the details of your case. If your law firm is in your community, it’s much easier for you to visit with your lawyer. You will meet face-to-face with your lawyer instead of meeting with paralegals or non-attorney staff members. You can easily stop by when you need your lawyer instead of having to handle things by phone and mail. Local lawyers know their community. Having a lawyer that knows your community matters more than you think. A lawyer who is well respected and known in the community is more likely to be seen in a favorable light by the local jury deciding your case. A rural jury may be skeptical of an unknown lawyer or a law firm they only know from TV, which could put you at a disadvantage. Local lawyers will also be familiar with court staff and local rules and procedures not necessarily known by some out-of-town attorneys. You don't need an out-of-town law firm to obtain large recoveries. The lawyers at The Matthews Firm, PLLC have obtained 2 of the top 3 largest jury verdicts ever awarded in Columbia, Tennessee. The Matthews Firm lawyers have obtained multiple settlements and verdicts in their jurisdiction in excess of a million dollars. Those results speak for themselves to show why you are better off hiring a local attorney who knows the law and knows the jurisdiction. 4. HOW TO CHOOSE A LAWYER? You wouldn’t hire someone to babysit or care for your child without doing some background investigation, right? You wouldn’t hire a dermatologist to perform brain surgery, would you? So why would you hire a lawyer without making sure that he or she is capable of handling your type of case? You wouldn’t. 1. Does the lawyer have experience in injury law? While one lawyer may be an excellent attorney in the practice of criminal or domestic law, he or she may not have the experience necessary for your particular case. Ask the lawyer how many similar cases he or she has handled, how the cases resolved, etc. Ask the lawyer whether he or she has ever tried a personal injury case before a jury. If so, what was the result? Ask whether he or she has primarily just settled cases with insurance adjusters or whether the cases went into litigation. If the lawyer takes on your case, is he or she willing and able to file the lawsuit and undergo litigation? Will he or she be able and willing to present your case to a jury? These are important questions that must be asked. 2. What does the lawyer charge? The above schedule is a general example. Attorneys’ fees can be different on a case-by-case basis depending on many factors including the likelihood of success, the complexity of the case, the risk of loss, and the case expenses that will need to be invested. One thing is true in all cases – if you don’t recover anything, you will never owe us a fee. 3. Does the Lawyer Have the Financial Resources Required? In all personal injury cases we take, we advance the litigation expenses and costs, as do most law firms that handle personal injury cases. Depending on the case, these expenses can be very significant. Even in less complex cases, expenses can grow to tens of thousands of dollars. In complex cases, expenses can easily grow to six figures. For example, in complex cases such as medical malpractice, truck wrecks, and products liability cases, multiple expert witnesses are commonly required. Expert witnesses charge for their time. The best experts are expensive. These costs can grow significantly as a case is litigated. Many times, complex cases with multiple experts will last years, so you need to know whether your lawyer can afford to hire well-qualified experts and continue to pay them as the case progresses. Big corporations and insurance companies will look to see whether the plaintiff’s lawyer can afford to litigate the case. If they believe that the lawyer can’t afford to litigate the case, they will prolong the case in hopes of placing the lawyer and client in financial strain and possibly resolving the case for less that full value. 4. Does the Lawyer Have Legal Malpractice Insurance? In Tennessee, legal malpractice insurance is not generally required. For this reason, many lawyers and firms do not carry malpractice insurance. No lawyer ever wants to make a mistake, but it can happen, especially if the lawyer is handling a type of case he/she doesn’t regularly handle. Before you hire a lawyer, you should ask whether the firm has malpractice insurance to cover you in the event a mistake is made. 5. What are the Lawyers Qualifications or Certifications? 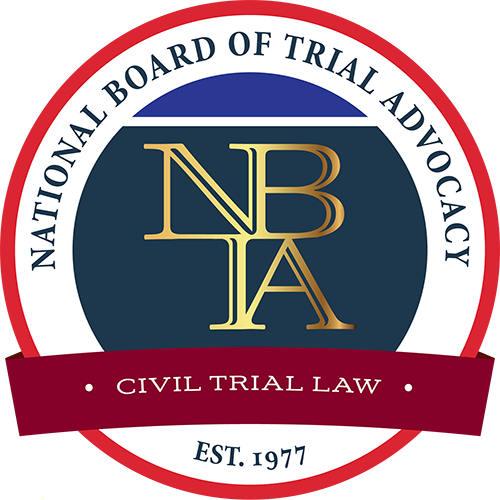 You should ask whether the lawyer has received any acknowledgements from third-party organizations like Martindale-Hubbell, National Trial Lawyers, National Academy of Jurisprudence, or NBTA. Is the lawyer Board Certified in your area of the law? 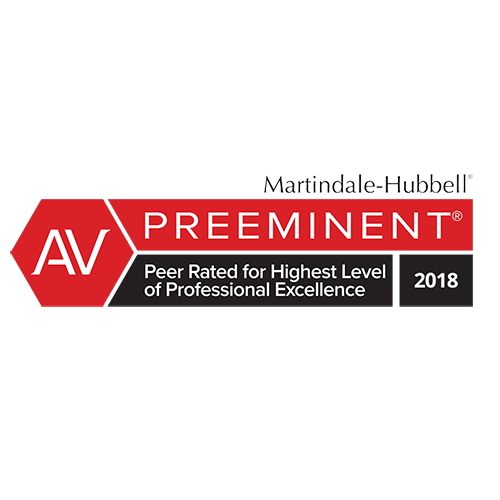 At The Matthews Firm, our lawyers hold numerous designations and certifications, including Board Certified Civil Trial Specialist, AV Preeminent Rating, National Trial Lawyers Top 40 Under 40, Top 10 Under 40 by National Association of Personal Injury Attorneys, and Client Satisfaction awards from the American Institute of Personal Injury Attorneys. 5. What should I do after an accident? Report the Accident. If it’s a wreck, you should contact the local law enforcement authorities so that a crash report can be created and the appropriate information obtained. If it’s a fall, report it to the property owner or the employees. Ask them to create an incident report. Be sure to read what is written in the incident report and make sure everything is accurate. Take a picture of the incident report with your cell phone or ask for a copy. Seek Medical Treatment. If you are injured in any way, get help. If it is a wreck, ask for emergency medical technicians and an ambulance to come to the scene. Some people do not realize how seriously they may be injured until much later. Others may realize they’re injured but are reluctant to seek help because they feel it’s not that serious or they don’t want to incur medical bills. Your health is the most important thing in your life. You owe it to yourself and your family to make sure you are properly evaluated and treated. Once you’ve sought out medical care, follow the instructions and recommendations offered by the health care professionals. Take Pictures. Today, everyone has a cell phone and most cell phones can take pictures. Take advantage of this opportunity. Take pictures of everything you can. If it’s a wreck, take pictures of all the vehicles, the road, the vehicle damage, any skid marks, and anything else that may be useful. If it’s a fall, take pictures of what caused the fall. Take pictures of any liquids or substances that might’ve caused the fall. Take pictures of any signs that are in place and your shoes or clothing. This evidence is important. While the facts of a wreck or other accident may be obvious at the time, memory will fade and rest assured the insurance company and defense lawyers will argue it was at least partly your fault. Pictures of the scene will become key evidence to support your case. When taking pictures of something in particular on a roadway or on a floor, try to provide size context by placing a dollar bill or something with a known size next to whatever you are photographing. Be Careful Talking To The Insurance Company. Frequently after a wreck, you will be contacted by the other driver’s insurance company. Sometimes this is harmless but sometimes you may be hurting your case without realizing it. Be careful what you say to the insurance company. If you are unsure about giving a recorded statement to the insurance company, don’t do it without first talking to a lawyer. While the insurance adjuster that calls you may sound friendly and say he or she is there to help, you must remember where their loyalty lies. While they may genuinely want to help you resolve your claim, their job is to do so by paying the least amount of money possible. Lastly, do NOT sign any documents without first reading them carefully. If there is anything at all you are unsure of, contact a lawyer before doing anything else. Clients will often ask at the first meeting or early in the case what their case is worth. We always give the same answer – It’s too early to know. Liability & Fault. These are lawyer words, but they can be easily explained. In order to determine value, we must look at the strength of our case. The strength of your case is partly determined by how strongly the evidence places fault on the defendants. In addition, you must consider the risk that a jury could place a portion of the fault on you, and, if so, how much. If a jury was to find you at least half at fault for your injury, you would not recovery anything under Tennessee law. Typically, the evidence that supports or weakens fault and liability aren’t known until later in the case. Damages. This is another legal word. Essentially, this means we must consider the harms and losses that resulted from the accident. What were the injuries? Are they permanent? Is there a history of having these types of injuries or problems in the past? What type of medical treatment was and/or will be required? What medical expenses have or will be incurred? Did you miss time from work? Will you be able to return to work? How has this affected your ability to live and enjoy your life? How has it affected your family? Lastly, we must consider whether the amount of the damages would be limited or capped by certain Tennessee laws. For example, cases against a governmental entity for negligence are generally limited to a recovery of no more than $300,000 per person, regardless of the amount of damages and harm done. Tennessee also limits the amount someone can recover for "non-economic damages," which include things like pain, suffering, and loss of enjoyment of life. These are all factors that must be considered. Collectability. Someone may have extensive harms and losses and the fault may lie solely with the defendant, but the case is still only worth what can actually be recovered. This is something that must be explored by a knowledgeable lawyer. Unfortunately, many people are harmed by drivers and other negligent parties who only have a limited amount of insurance and no collectable assets. In Tennessee, many drivers only have the minimum liability insurance limit of $25,000 per person. Even though the injured party’s damages may be in the hundreds of thousands, he will only be able to recover what would be collectable through liability insurance, assuming the driver doesn’t have significant assets to pay the judgment. This is another example of why you need to have as much underinsured motorist coverage as possible. This is also another area where having an experienced lawyer can be the difference between a good outcome and bad outcome. Where the harms and losses are great, every possible avenue of recovery needs to be explored. For example, perhaps the negligent driver was running an errand for his boss, or perhaps there is another person who has an ownership interest in the vehicle. In those examples, there could be another person or insurance policy to apply. These things need to be properly investigated, and often litigation is the best way to do this. These are just a few factors that must be considered when evaluating a case, and they can’t be fully known or understood without substantial investigation and/or litigation. For this reason, you should be wary of any law firm that tells you how much your case is worth after just an initial meeting or telephone conference. Again, pick your lawyer carefully. It matters. We encourage you to make an informed decision when choosing an attorney for your personal injury or wrongful death case. The above questions are just examples of some of the ways you can ensure that you hire the right lawyer for you and your family.